Tonight is National Night Out, an organized night out to fight crime and prevent drug use. 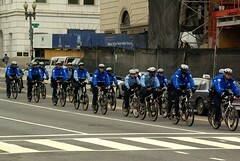 It’s also the sixth use of All-Hands-On-Deck (AHOD) for MPD. The first five AHOD weekends resulted in nearly 2,400 arrests and seizure of $30,000 in drugs. There will be events in all seven of the MPD Police Districts, even though the release lists only six. In addition, THEARC is putting on a concert at their location on Mississippi Ave SE, featuring Tabi Bonney and Tanya Blount. MPD Officers will be on-duty as part of AHOD through Wednesday morning.